Every development is assigned an in-house property manager who acts as the main point of contact for our clients. They oversee each building to be sure it is maintained to our high standards, and are available to address any client concerns. Available exclusively to clients of St. John Properties, we are able to negotiate services and rates directly with our preferred vendors on our clients’ behalf – potentially saving our clients thousands of dollars per year. 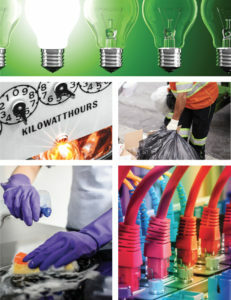 Services range from trash and janitorial to energy savings and more. Get your custom quote. While many real estate firms rely on third party service companies, St. John Properties maintains a staff of full-time, in-house service personnel ready to make the necessary repairs to common roofing, plumbing, electrical and HVAC issues. With a dedicated maintenance coordinator, our staff is dispatched quickly, cutting response time dramatically. Submit a request now.